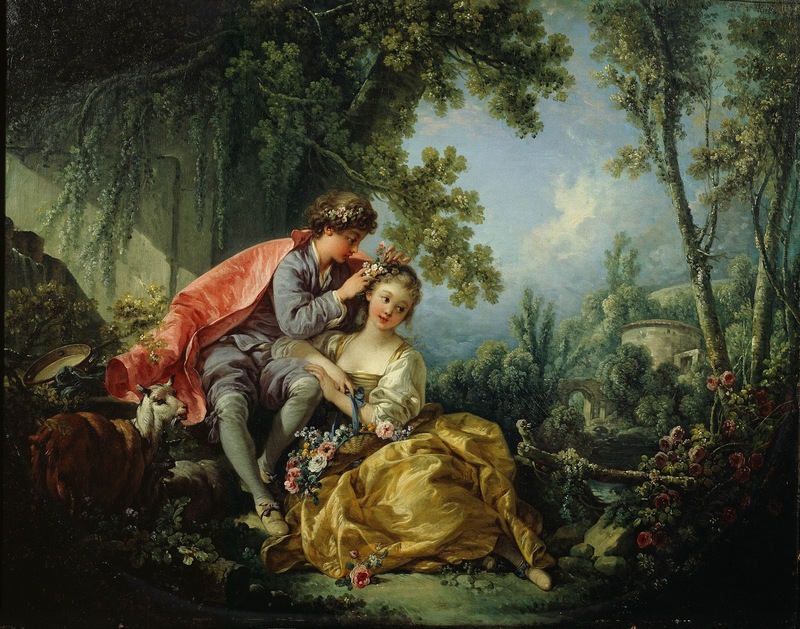 Source: The Frick Collection, New York | - The son of a painter, François Boucher (1703-1770) was born in Paris and trained first with his father, then briefly with François Lemoine. In 1723 he won the Academy’s first prize for painting but was denied the sojourn in Rome that normally resulted from the competition. To earn his living the young artist produced reproductive engravings throughout the 1720s, notably after drawings and paintings by Watteau. 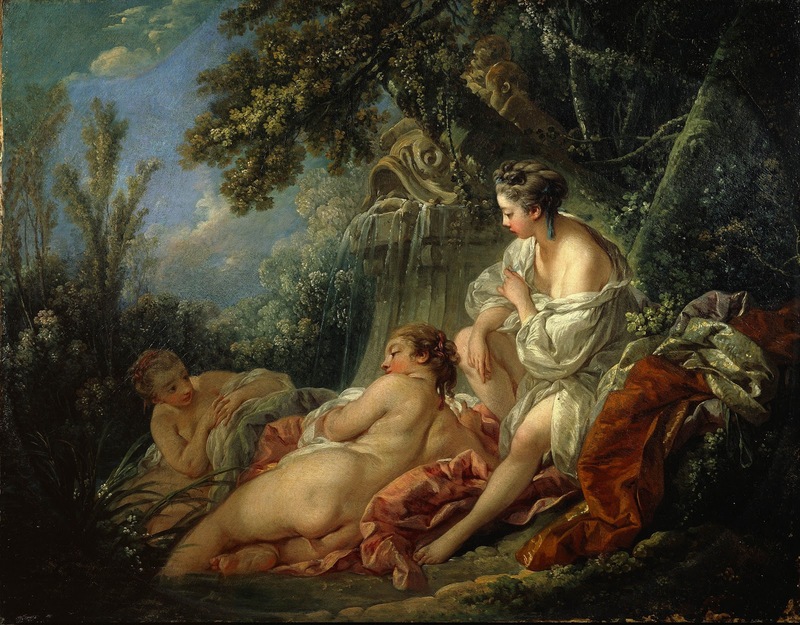 Returning from a prolonged stay in Rome - where he went on his own - Boucher was accepted into the Academy in 1731, and three years later he was made a full member. Eventually he held the Academy posts of Professor, Rector, and finally Director. Boucher’s marriage in 1734 resulted in two daughters, who married the artists Deshays and Baudouin, and a son, Juste-Nathan, who would specialize in drawing architectural fantasies. 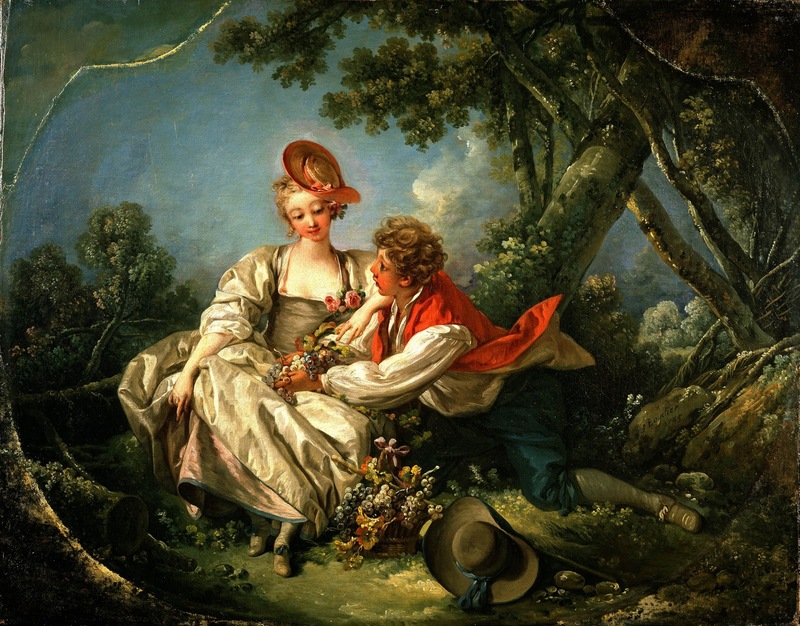 Boucher’s work appeared at the Salon of 1737 and frequently thereafter. While his virtuoso productions were much admired, the artist had his critical detractors as well, particularly Diderot, who lamented his lack of naturalness. 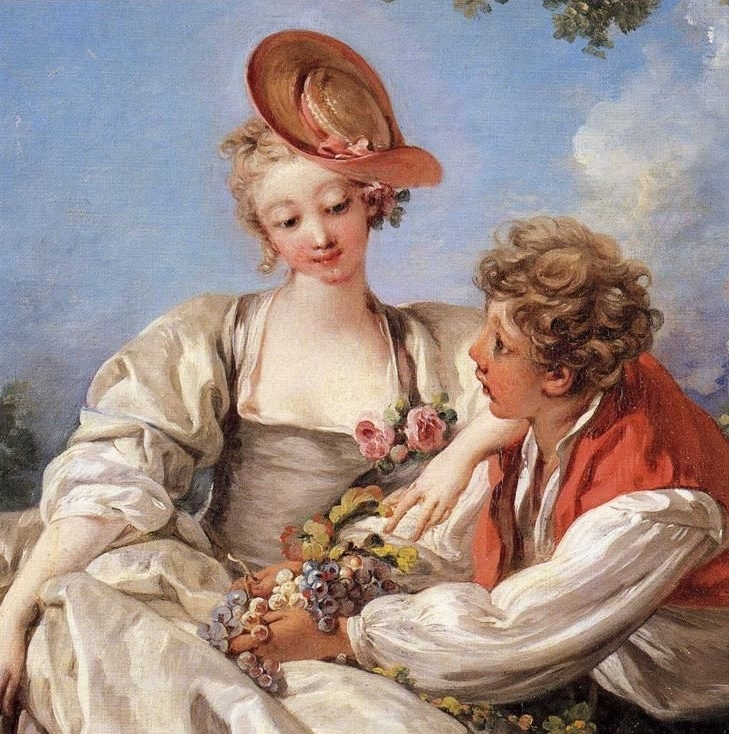 Boucher was awarded many commissions by the King (including the painting of his Easter eggs) and by Madame de Pompadour. 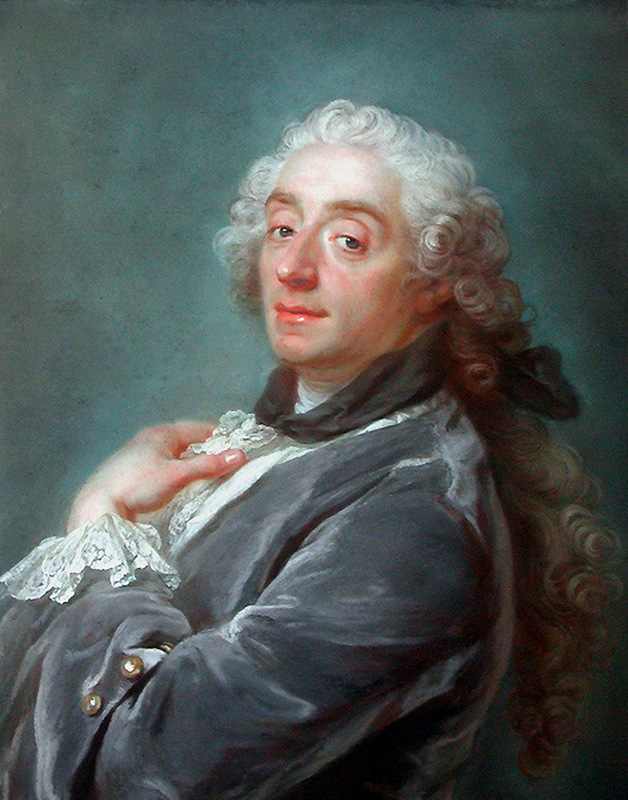 He also held high posts at both the Beauvais and Gobelins tapestry factories and was named “premier peintre” to Louis XV in 1765. Although the content and style of Boucher’s art suggest a sybaritic character, the artist often worked twelve hours a day. He died in his studio in the Louvre. 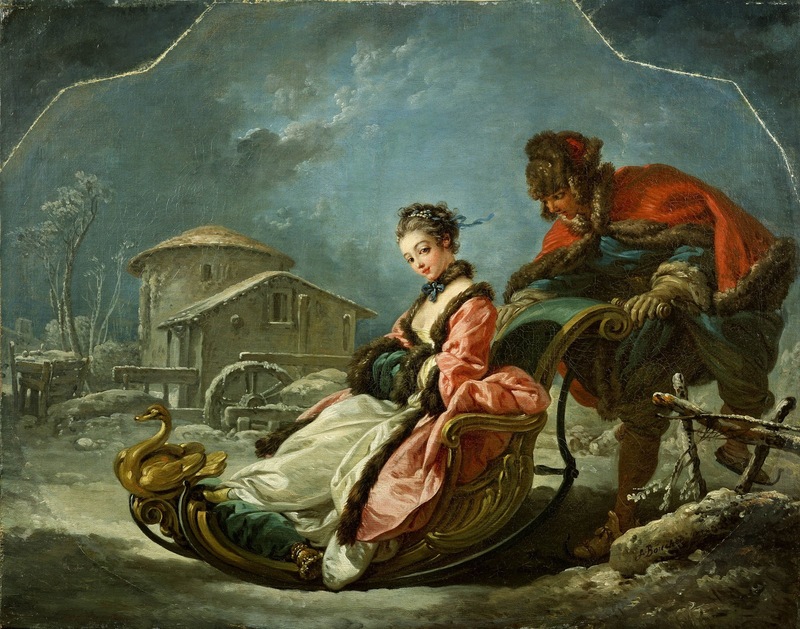 Among his many pupils were Deshays, Fragonard, Gabriel de Saint-Aubin, and Ménageot.